Those who subscribe to my newsletter know they are privy to thoughts and insights that I don’t normally share on this blog. However, the more I thought about the subject of this last week’s newsletter, the more I feel it needs to be out in the open and discussed. So I hope my subscribers understand as I share with the world some of the thoughts usually reserved for them. 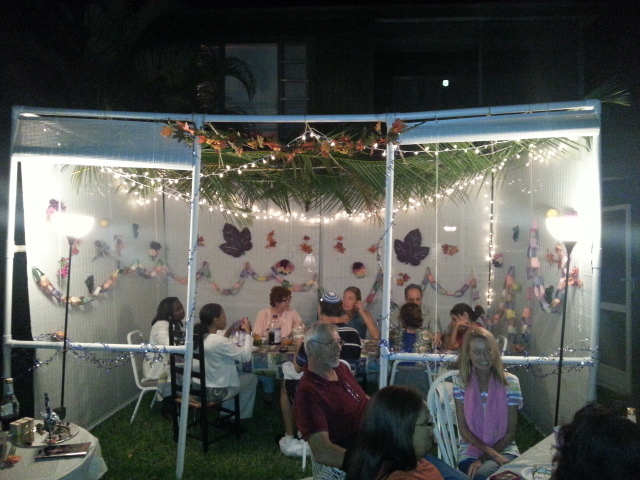 It all started in the midst of the joy we were experiencing Saturday night at a gathering under the sukkah. A handful of us started talking about the anti-Semitism that is running rampant in the world. One of the guys pointed out that as the United States moves closer to ties with Iran, it will distance itself from Israel. And when this happens, we will find we are enemies of the state. And that’s where the rubber will meet the road – when persecution comes. For too long us Gentile followers of Jesus have seen ourselves as the center of persecution. But a realistic look at history points to one group of persecuted people (persecuted even by Christianity) – the children of Israel. As the Lord has brought me further into honoring the Sabbath, I purchased The Sabbath Table from First Fruits of Zion. 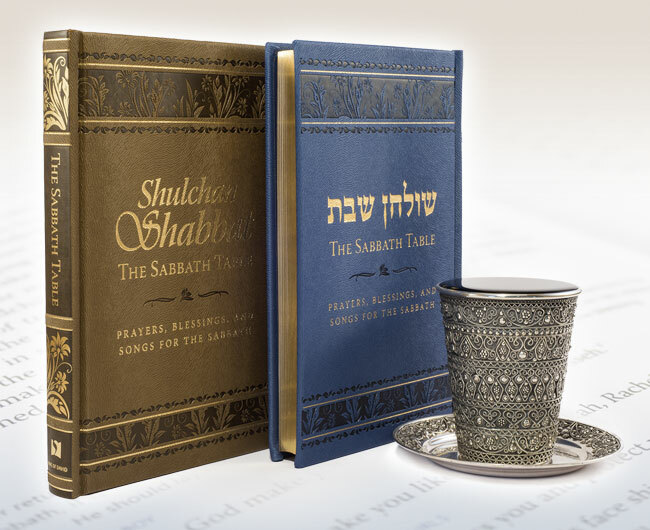 There are 4 blessings involved in the Grace after Meals (Birkot HaMazon). The beauty of blessing the Lord with a full belly is an amazing experience. 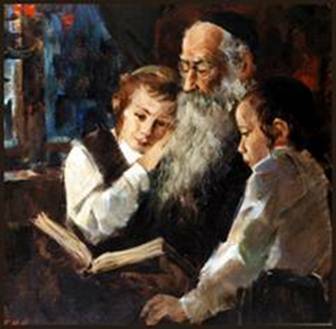 I think about the faithful Jews praying these blessings in the ghettos or hiding in attics and I realize that Orthodox or not, faithful or not, praying or not, their bloodline gave them no way out. Shouldn’t we, being ‘new creatures in Christ’, adopted into the family of Abraham, have a new bloodline? One from which we cannot hide? A conversation I had with my grandson really drove this point home. He usually comes and visits for weeks at a time. He has always loved going with me to church and Christian events. But when I joined a Messianic congregation, things changed and I couldn’t understand why. Those words haunt me every day. We call ourselves disciples of Jesus of Nazareth, but do we truly understand what this means? Jesus was a rabbi (great teacher), a Jewish rabbi. He is the living Torah. As disciples, we should look more and more like our Rabbi. The way we pray should be the way He prayed. The way He honored the Sabbath is the way we should honor the Sabbath. The way He followed Torah is the way we should follow Torah. He is the Messiah of Israel, offering right living, right relationship, and adoption into His family to all the nations. But we don’t really want to look like Him or His family because the world hates the Jews. Sobering thought, isn’t it? One thing I have found through other life experiences is that while sometimes God gives grace in the moment, there are many times where He prepares us and allows us to prepare far in advance. mental preparation of the sort you speak of will be a combination of both. I fear for those who do not take the time NOW to prepare mentally and spiritually for the walk ahead. Wasting time now will not exactly endear our Father to providing for our laziness later. Chazak! Chazak! Venitchazeik! (Be strong, be strong and may we be strengthened!) Interestingly, the traditional phrase is both active and passive. The first time I heard this phrase my heart soared! The call to be strong, yet an encouragement that we can be strong at the same time. And coming at the end of each Torah scroll reminds us that it is the Word that strengthens.